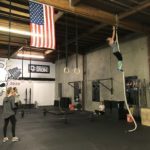 CrossFit of Fremont - Building a Healthier Fremont, CA. Welcome to CrossFit of Fremont. Whether you are an elite athlete or if you want to lose 100lbs. Whatever your goals are we are here to help you achieve them. Come join our family and let’s all hit our goals together. CrossFit of Fremont IS A PROVEN STRENGTH AND CONDITIONING PROGRAM DEDICATED TO MAKING YOU STRONGER, LEANER, AND HEALTHIER NOW. Right off 880 Freeway Behind Napa Auto parts on Cedar Blvd. © 2017 CrossFit of Fremont All rights reserved.